What is it about Friday nights? You spend the first part of the week being so healthy you could be the pin-up in a juice bar, only for the clock to strike 4 on a Friday and your resolve crumbles faster than a full fat chocolate chip cookie. Friday. Night. Syndrome. Friday nights are my Achilles heel. My way of unwinding after a long, hard week of working is to go out, meet some friends and chit-chat over good food and some sort of alcoholic beverage. If I just went home and watched TV I would feel cheated and probably spend the night crying into my broiled white fish and broccoli supper. That’s what Sunday through Thursday is for! So, realistically I’m not going to give up my Friday night socialising – I just need to find a way to healthify it. The plan this Friday was to go to Zeitgeist in the Mission for a few drinks and then on to Burma Love, which just opened recently. Perfect I thought, planning it all out in my head – I’ll have no more than two vodka tonics at happy hour, before heading to the restaurant where I would opt for the healthiest option on the menu and then head home at a reasonable hour and get the requisite 8 hours sleep. HEALTH MASTER! Emmmm…didn’t quite pan out that way. The primary cause – I forgot how ridiculously strong the drinks are in the States. They’re even stronger when you engage in a bit of friendly, Friday night flirting with the bartender. So, my first vodka-tonic was most likely worth three normal (Irish) ones. And this tickled me pink enough to order two more. And then of course, the banter with the friends got even better, so food was forgotten about until around 10. We actually did end up going to Burma Love, but were tipsy enough and starving enough to order the slightly less than healthy option…with a side of wine. So, not an amazingly healthy night, but also, not a complete disaster. A disaster would have been to drink beer rather than vodka tonics and then not eat until midnight when you stop and get a burrito. This kind of disaster has struck before. 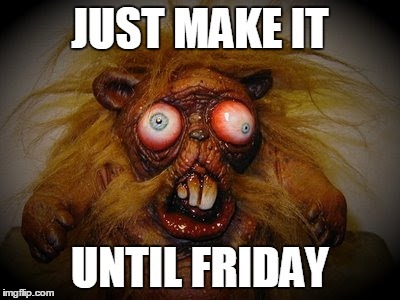 I’m not quite sure how to cure myself of Friday Night Syndrome though. 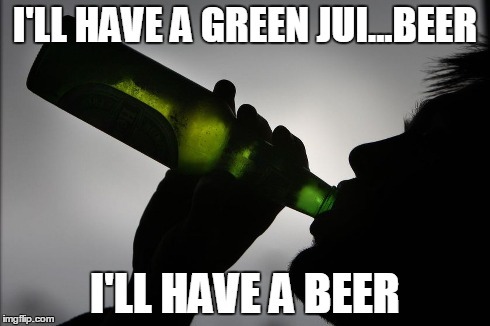 Maybe buddy up with a fellow health warrior and only do rounds of drinks with them? Any tips or strategies out there? A note on Zeitgeist and Burma Love. It was my first time at both and I had a blast. Zeitgeist is a fun dive bar, with a great outdoor area and lots of benches. Not too many annoying hipsters either. If you’re not trying to be healthy they have a BBQ pit as well where you can get some burgers. Burma Love was great as well. I had never had Burmese food prior to coming to San Francisco, but now tea leaf salad is one of my favorite dishes. As with most restaurants worth going to in the city you need a reservation. We got lucky and got a table with no reso! Despite a relatively un-healthy ending to the day it started quite well, with lots of fresh, whole foods. No exercise though. I was still exhausted and knew I’d be doing Barry’s Bootcamp on Saturday so I decided not to push it. Outside of food and exercise the other healthy thing was chilling out with friends and laughing. Food for the soul, so it is! 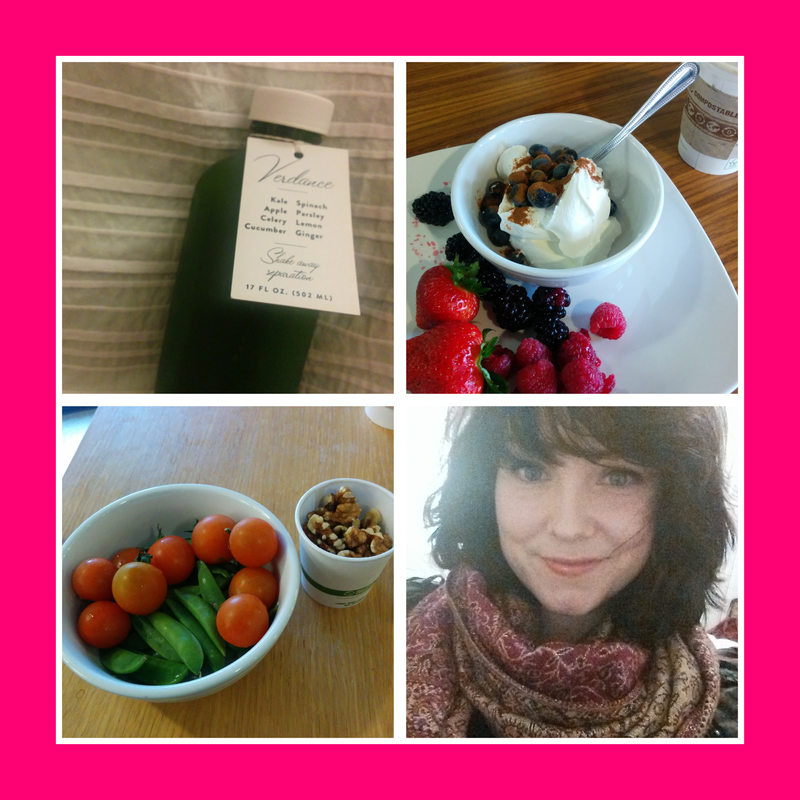 This entry was posted in California, health, healthy eating, san francisco, wellness and tagged 100 healthy days, 100 healthy days in SF, burma love, california, diet motivation, san francisco, san francisco blog, san francisco restaurants, wellness in San Francisco, zeitgeist on January 11, 2015 by meeshty. Day 4: Exhausted, but a healthy SF take out saves the day! Day 4 and I’ve been slammed by a wave of exhaustion. Naively, I had convinced myself that I would be able to cheat jet lag, bounce and frolick my way back into a healthy, daily routine, go to my 8 exercise classes and cook balanced meals from scratch. Hah! Turns out I’m not quite the super-food cooking superhero just yet. Instead, I’m more like this. I love this crazy looking creature. I’ve gone through similar periods of exhaustion in the past, so I’m all too familiar with the havoc this can wreak upon a healthy living resolution. In an effort to simply keep your eyes open, all you want to do is to eat carby, sugary, starchy, fatty (DELICIOUS) food- and the last thing you want to do is to cook it. Inevitably, this leads to a stop at the local burrito place on the way home from work or a sneaky take out that usually involves pizza. I am extraordinarily happy to report that good sense and and great health prevailed in this instance. Whilst I did order take-out it was of the very healthy variety. Actually, scratch that, it was of the very, very healthy variety. And it doesn’t get much better than very, very healthy. Enter Thistle – the pioneers (in my mind – maybe there are others?) of genuinely healthy fast food. I’ve been using them for a while now. They have a variety of healthy, vegetarian dishes that you can order online and have delivered to your doorstep in 30 minutes (or less, more often than not). The dishes always provide a balance of veg, healthy carbs, fat and protein. Honestly speaking, I always feel 100% satisfied afterwards, and never want anything else after. Jaysus, this sounds like it’s a commercial, but it’s not, I promise. My dish of choice was the Power Bowl – steamed quinoa, marinated kale, mashed sweet potato, black beans, carrots, housemade kimchi, sunflower seeds, and tahini sauce. I also got the Snow drink (almond milk with peppermint) and I got the Verdance green juice for the following morning. Thistle is great if you need a quick fix, but in the future I plan to have a freezer-load of healthy meals on hand, ready to defrost when the need hits. Whilst I did a good job on the eating front, exercise failed miserably. I had signed up for two exercise classes, canceled them, asked some friends if they wanted to go for a walk, canceled that and then ended up on the couch for the night. But you know what – needs must and sometimes you just need to listen to your body. This entry was posted in California, health, healthy eating, san francisco, Uncategorized, wellness and tagged 100 healthy days, 100 healthy days in SF, california, health blog, health challenge, Healthy challenge, healthy eating, healthy eating blog, healthy take out, san francisco, san francisco blog, san francisco dinner, SF, sf blog, thistle, wellness, wellness in San Francisco on January 9, 2015 by meeshty. During some kind of a jet-lagged fueled, manic episode I decided to sign up to no less than 8 exercise classes this week. One of these being Bikram Yoga. No better way to rid yourself of your holiday demons than sweating them out of you. My friend Katie, suggested we check out the Bikram Yoga class at Mission Yoga in San Francisco. We managed to get an amazing deal on Groupon – 25 classes for $108. Score! (There’s also still time remaining to get the deal FYI). This wasn’t my first time doing Bikram, thankfully. I used to do it quite regularly while living in Dublin and I loved it. I think if it had been my first time, I would have suffered even more than I did. For those of you who refuse to call something a workout unless it involves lifting serious lbs or sprinting 5 miles – let me enlighten you. 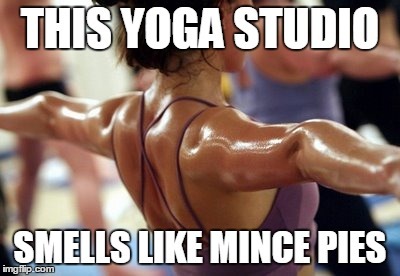 Bikram Yoga is not for wimps. It’s badass. I find that it gets my heart racing as much as a hill run or a round of wall balls . The class consists of a continuous flow of 26 postures in 40 °C (104 °F) heat with a humidity of 40% for 90 badass minutes. That’s right…badass. More often than not it’s the heat and humidity that’s the most difficult part of the class. It gets hot! And the postures themselves can be pretty challenging. There’s contorting, squatting and oodles of balancing postures. For those of you who know me you’ll know I don’t do balancing that well. I sometimes fall down even when standing still. This all being said, Bikram Yog is still totally do-able and accessible to everyone, regardless of fitness level. You’re encouraged to take it at your own speed and sit down whenever you want. I spent half of my first few classes sitting on the mat. Like I said – lofty goals this year. In other yoga related news I just saw they’re running a weed-fueled yoga class in SOMA on Wednesdays. This is so San Francisco, it hurts! Something to put on the bucket list I think. 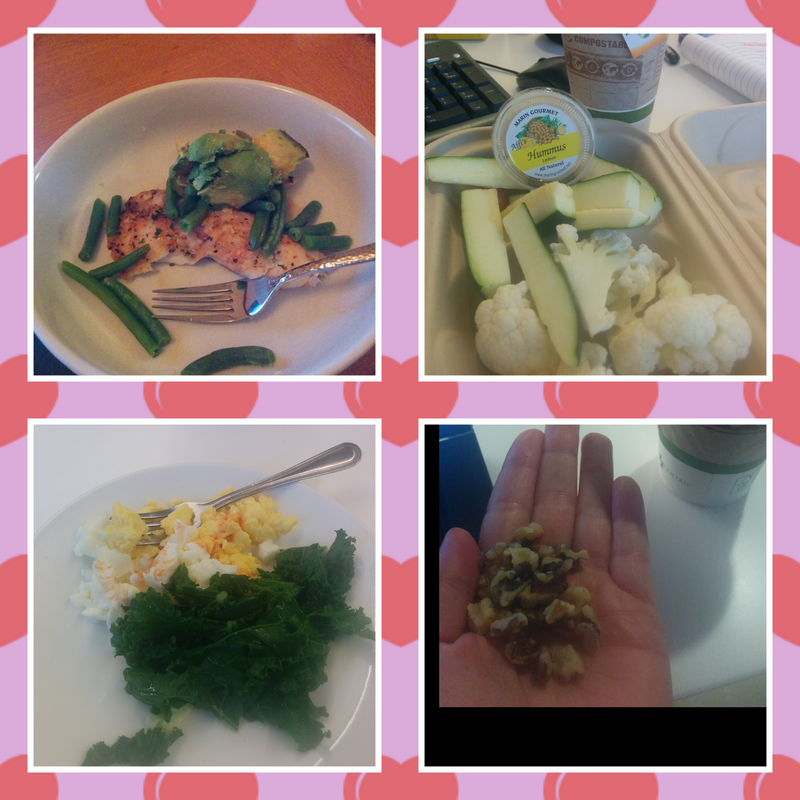 Today was again quite a good day for healthy living. I managed to eat healthfully and do two exercise classes. I did have a brief moment though, as I was eating my raw vegetable snack, when I thought I couldn’t stomach any more veg. But I persevered! 3 good days so far – not bad! This entry was posted in California, exercise, health, healthy eating, san francisco, Uncategorized, wellness, yoga and tagged 100 healthy days, 100 healthy days in SF, bikram yoga, california, health blog, health challenge, Healthy challenge, healthy eating, healthy eating blog, mission, mission yoga, san francisco, san francisco blog, SF, sf blog, wellness, wellness in San Francisco, yoga on January 8, 2015 by meeshty. 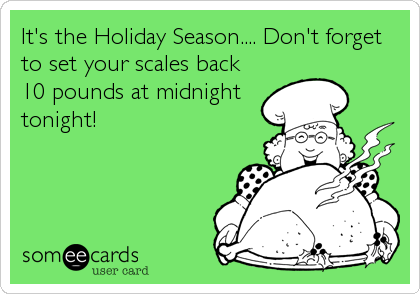 Is there anything worse than getting on to the scales and having your body fat % tested, right after the holidays? For the record, there is definitely plenty worse in life than this.This comparison obviously only relates to other superficial events or occurrences that could befall a human being. Like having a skinny friend who eats toast and chocolate croissants every day. That features highly on my list of terrible things that could happen to someone. I’m looking at you Frenchie! You’re right…you’re right! That would typically be my way of thinking as well. Why put yourself through undue heartache and torture, cursing the day a mince pie ever crossed your path? However, there’s no denying that on occasion you need a short, sharp shock to the system to jump-start change – and stepping on those scales and having your belly fat pinched is the best way to do it. I actually had the remarkable foresight of anticipating my post-holiday excuses months ago, so I signed up in advance for a 10-week fitness and nutrition program in work- with a pre-evaluation on January 6th. Job done. How much damage did the holidays do? A LOT! 7lbs worth of damage and a place in the overweight body fat % category (0.8% over healthy). I was actually shocked at how quickly I put on the lbs and body fat. However, when I stepped off the scales in a huff, wanting to cry and thought about it some more – it made sense. 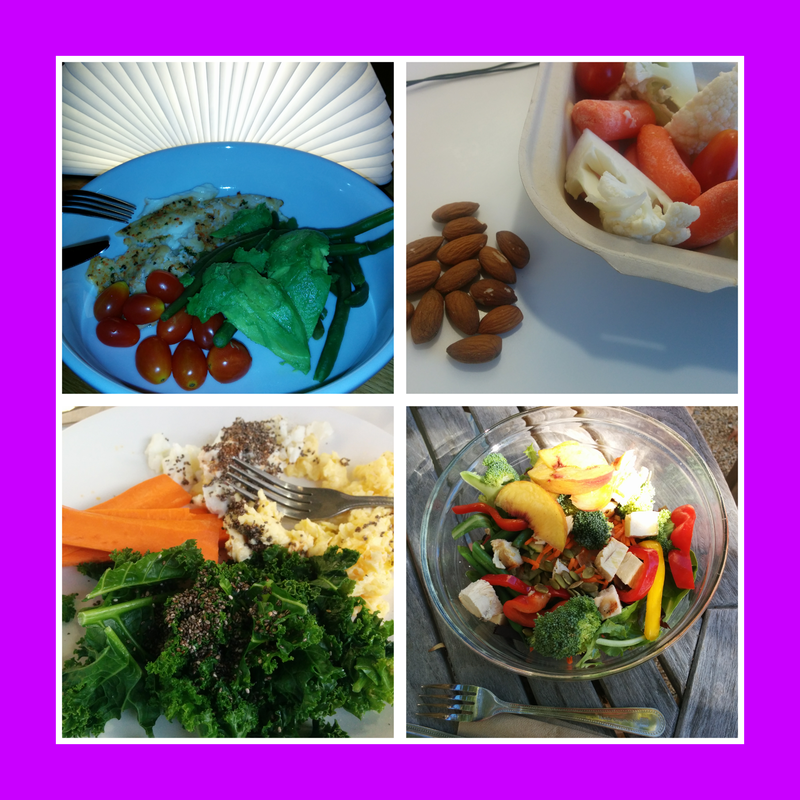 Whilst I didn’t go crazy and indulge as much as I wanted to, I had been pretty lax with my healthy eating for a good two months. It was slow and creeping and disastrous. So now starts the epic challenge of reversing this and I’m hoping my 100HealthyDaysinSF program will help me. For full disclosure I’m going to put down my new goals here. I hope to achieve these at the end of the 10 weeks of the fitness program I signed up to. Today was a good day in terms of healthy living – all three of my meals were healthy and I started back exercising with a group exercise class. This was TOUGH going! I felt like I needed to explain myself to the strangers in my class as I was huffing, puffing and sweating after a round of jumping jacks. 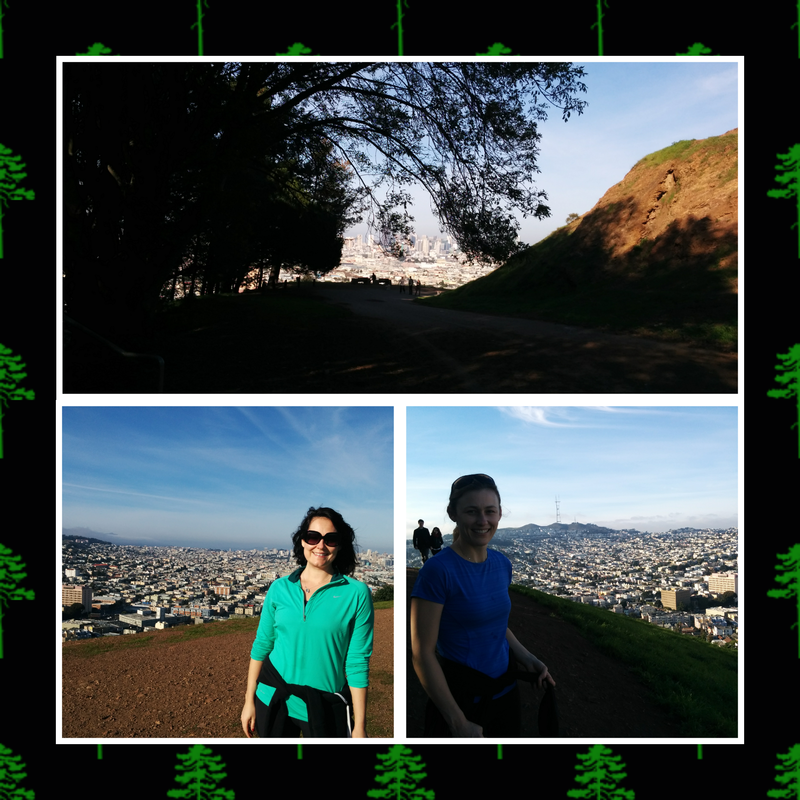 ‘First workout after the holidays, you know…’ It was tough, but I’m glad I did it. It was a win even turning up. Lunch: Salad with lots of veg, edamame beans, chickpeas, sunflower seeds, olive oil and balsamic. Also a little bit of seaweed salad – which had SUGAR in it. Criminal, never again. This entry was posted in California, health, healthy eating, san francisco, wellness and tagged 100 healthy days, 100 healthy days in SF, body fat, body fat % testing, california, diet motivation, fitness goals, health blog, health challenge, Healthy challenge, healthy eating, san francisco, san francisco blog, SF, sf blog, wellness, wellness in San Francisco on January 7, 2015 by meeshty. As anyone living in San Francisco will tell you, this is the best city to come to if you are a foodie. Not only are there amazing restaurants and food trucks, but also talking about food (and being a ‘foodie’) is a legitimate past-time…As well as blogging about food, instagramming food, yelping about restaurants. You even start to choose a potential date based upon how much they like to eat out! Food plays an integral part of the socialising over here, and I love it! Obviously, however, to eat the healthiest you need to be at home cooking your own meals, so you know exactly what you’re eating. BORING!!! How depressing would that be? Can you imagine turning down an opportunity to try out the latest hip restaurant in favour of eating a bowl of kale and broiled chicken on your tod. You’d want to kill yourself! (Oh my God, I have the feeling that sounds like something a douchey Foodie would say). 1. Choose and reserve the restaurant beforehand. Because there are so many options in San Francisco, it can get overwhelming and difficult to make a decision about where to eat – especially when you’re out and about. And when that happens you inevitably spend a good hour walking around in circles, until you get hangry, then you panic, have a fight with your dinner companions and end up storming into the nearest taqueria for a burrito, that you eat in a huff. This is not fun for anyone and can lose you some friends. 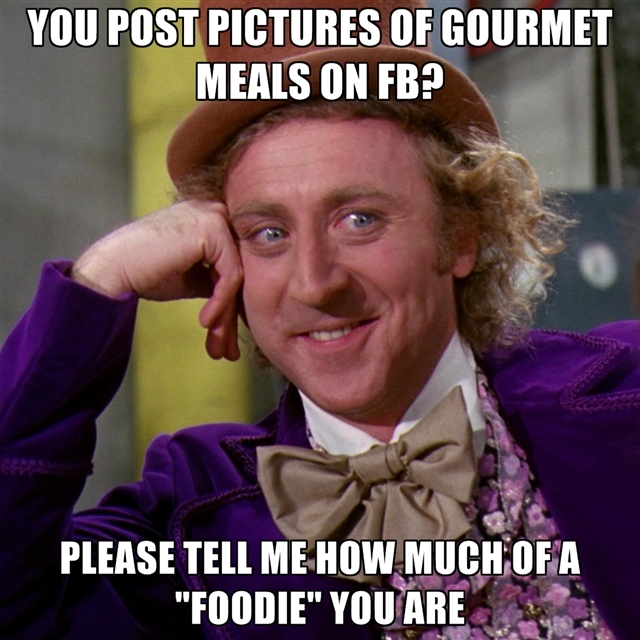 So, instead do your research and choose the restaurant online beforehand. If you’re going with a group, offer to find and reserve for everyone. They’ll love you for it. My go-to in SF is OpenTable or Yelp (sorry Google+…). Any other good sites out there? Most restaurants will have their menus available online, so you can plan exactly what to order in advance. By doing that, you save yourself from getting swept up in the ordering frenzy and going for something unhealthy. Maybe even just before you go out. The French or Italians would freak at the thought of potentially ruining your meal by eating so close to dinner-time, but don’t mind them. It’s survival tactics here. And they’ve probably had 12 chocolate pastries already today. There are many fun things to indulge in at dinner – the bread, the wine, the pasta dishes the dessert. Decide which two of the four you want and don’t go near the others. Ie if you have wine and bread, avoid the tortellini and tiramisu. Go for the steak, chicken or fish. They’ll be the healthiest because you know they probably won’t have added anything nasty into them. This week is jam-packed with dinner dates, so I’ll get an opportunity to try out these tactics myself. Tonight’s restaurant was Bistro Aix, in the Marina. This is a charming place, with great food, beautiful wine (chosen by the very dashing Johnny, who works there) and a lovely atmosphere. Complete with an indoor tree! I love indoor trees like you wouldn’t believe. Let’s see how I get on with the other dinners! This entry was posted in California, health, healthy eating, san francisco, Uncategorized, wellness and tagged 100 healthy days, 100 healthy days in SF, bistro aix, california, health blog, health challenge, Healthy challenge, healthy eating, san francisco, san francisco blog, san francisco dinner, san francisco restaurants, wellness, wellness in San Francisco on October 23, 2014 by meeshty.